Leather gloves: Protect your hands when you must handle reactive foil. Eye protection: This should be fairly self-explanatory. Your eyes are important – keep them safe! Nitrile gloves: Used to keep finger oils away from bonding surfaces. 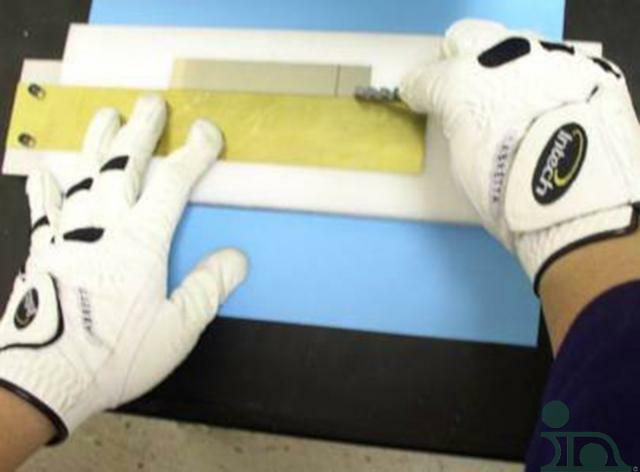 Flat tweezers: Better than gloves for handling preforms and positioning parts. Glass cutter: Easily cut pieces of foil to size/shape. Metal straight edge / ruler: Used to guide the glass cutter for a straight cut. 9V battery: Can be used as a backup for activation of foil. Hydraulic or spring loaded press: Applies pressure during assembly and compensates for minute but important settling of the assembly. High-temp tape: Used to shield surfaces from excess solder or to position foil or parts. Foam and aluminum blocks: Distribute pressure evenly during assembly. 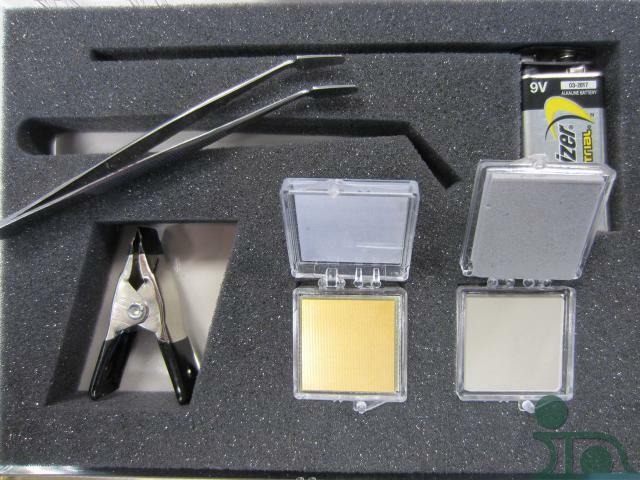 These items are all used on a daily basis here at the Indium Corporation, where we are the supplier and also one of the largest users of NanoFoil® in the world.